If you love broccoli, here's a good reason to make every bite count! 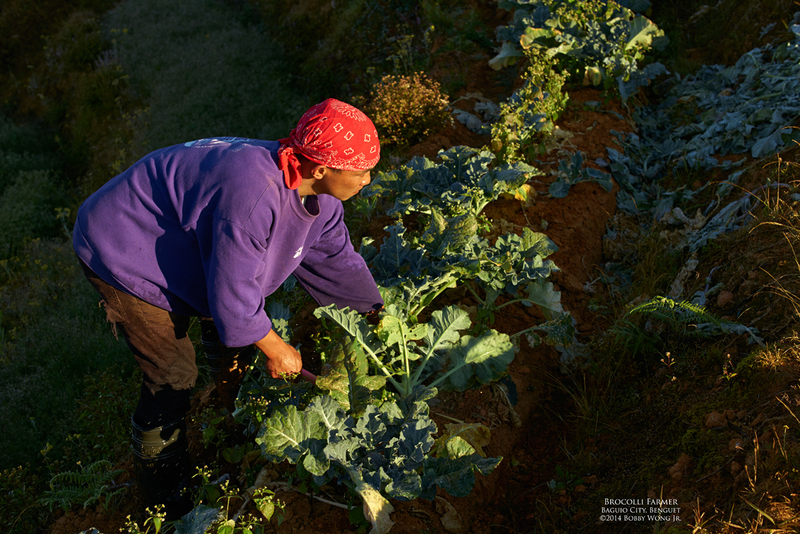 Shortly after sunrise, on a mountain-top clearing just outside Baguio City, I chanced upon some farmers harvesting broccoli heads in a frost-draped field. As I waded through the overgrown mounds, I was surprised to learn the harvested heads were only a fraction of the total plant biomass needed to produced it. In other words, the inedible portion can be nearly 90% of the total weight of the plant, and will be left behind to rot in the field. That sounds like a lot of waste, and it is, but that's how it works, at least for broccoli. So the next time you eat this sumptuous veggie, remember to make every bite count. Enjoy. When you head for the hills at twilight, you might as well head to its highest point. We drove up Mt. Cabuyao in Benguet until the road ended, then groped our way along a narrow pathway towards a cliff overlooking Baguio City. Below us, the city sleeps. My thermometer read 9 degrees C, but the unrelenting wind made it feel bitingly colder. It was a price to pay for being at the highest point. Enjoy. Of course it's about the journey, but would there be one without a destination? 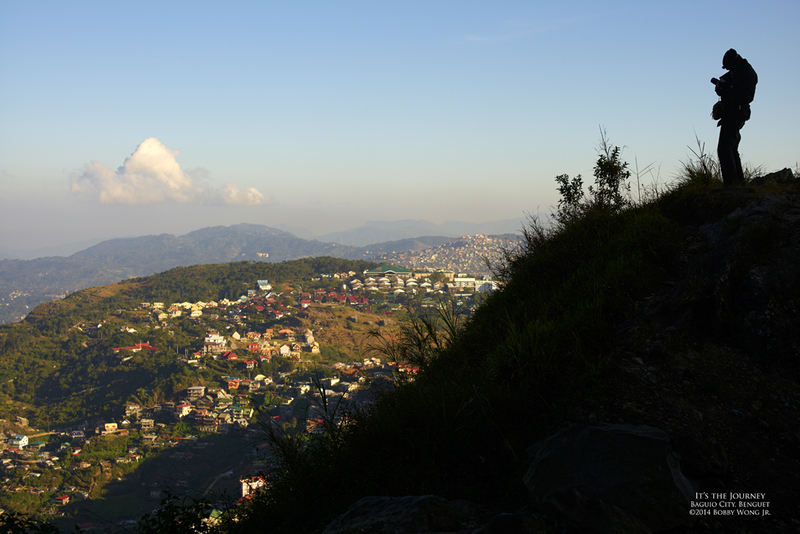 Metro Baguio has its charms, but the countryside is where your camera wants to be. 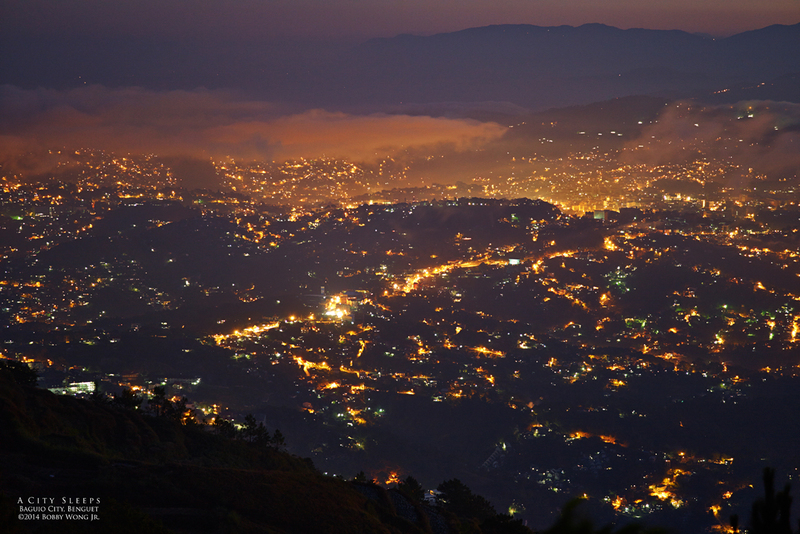 We spent dawn and the greater part of the golden hours documenting life and the landscapes in them hills. It was about the journey, but only because we dreamt one day we'd photographing this place. Don't forget to take the first step. Enjoy. Death & taxes. Now add laundry to that inescapable list. Sigh. Where Taal lake overflows into the Pansipit River in San Nicolas Batangas, doing your laundry might not be all that bad. Imagine the moist morning air on your face, the cool running water under your feet, and the warm glow from a rising sun amidst the fantastic backdrop of a placid lake... heck... for folks who live here, it's really just death & taxes. Enjoy.